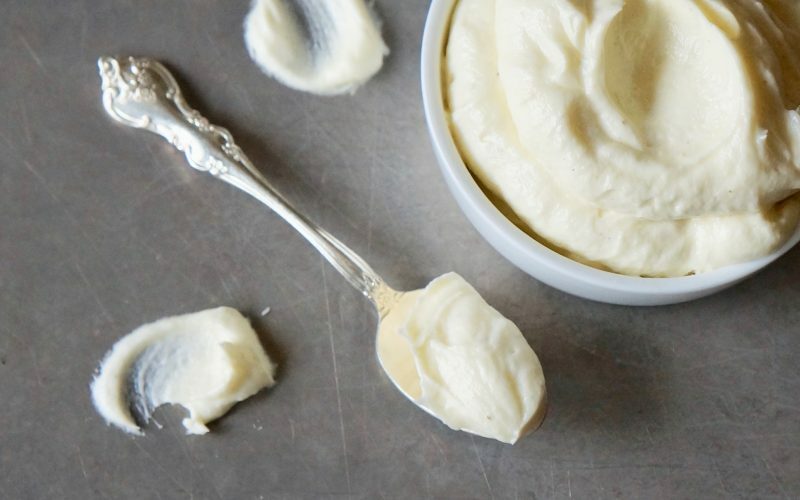 Creme Mousseline, which is sometimes referred to as German buttercream, is a luxurious blend that begins with a standard batch of Vanilla Bean Creme Patisserie. The difference in the two is that very soft butter instead of whipped cream is added just before using which gives the mixture incredible taste & texture notes. Creme Mousseline may be used to fill a variety of baked pâte à choux pastry shells for classic canapés that include éclairs & cream puffs. 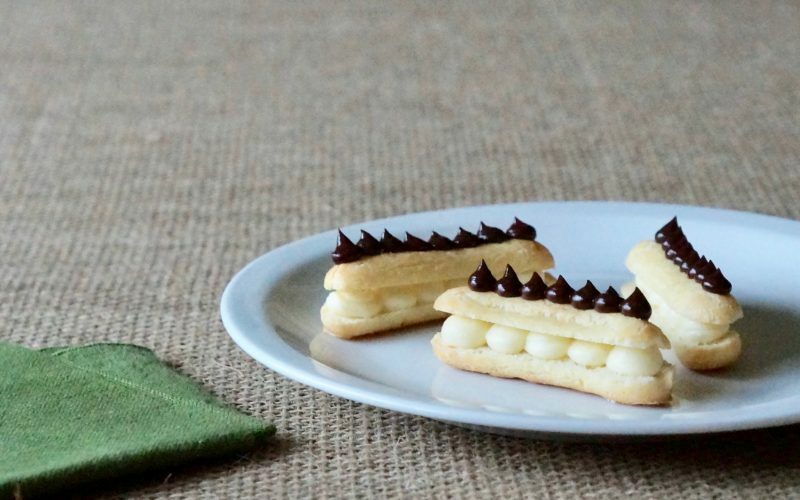 When flaky, crisp layers are desired, look no further than Buttermilk Puff Pastry & use the rich filling to stabilize a batch of Miniature Napoleons that are ideal to serve for a number of lovely spring celebrations. Learn how to make this bakeshop basic in your very own kitchen. Whisk together the sugar, the cornstarch & the salt in a 3 1/2 quart saucepan. Whisk in the whole milk. Add the egg yolks & blend well. Cook, stirring with a whisk, over Medium heat about 6 minutes. The mixture will thicken & begin a slow bubble. Reduce the heat to Low & cook an additional 1 minute. Remove from the heat. Add the vanilla bean paste & the 2 tablespoons of butter then allow it to melt. 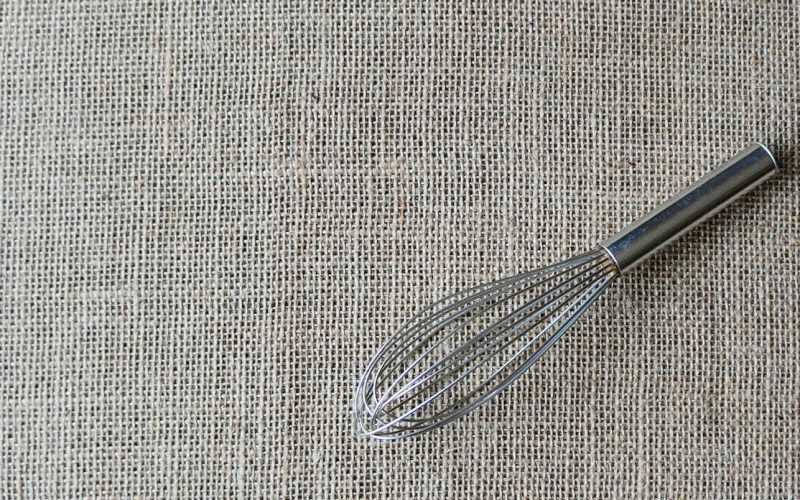 Whisk the mixture until smooth & pass through a chinois or fine wire mesh sieve set over a bowl. Discard the solids. Spread the pastry cream over a 13 x 9-inch quarter sheet pan & place plastic wrap directly over the surface. Chill 1 hour. Place half of the pastry cream in the bowl of a heavy duty stand mixer. Beat the mixture on Medium speed to break it up a bit then add 1/2 cup of the very soft better. Beat on Medium to Medium-High speed until completely smooth. It may take up to 5 minutes. The key point is that the mixture should have a smooth, velvety-whipped texture. Transfer the mixture to a bowl. Repeat with the remaining pastry cream & the very soft butter. Use as directed. Although it sounds easy enough, it can be a bit tricky to achieve the proper consistency of a batch of Creme Mousseline. 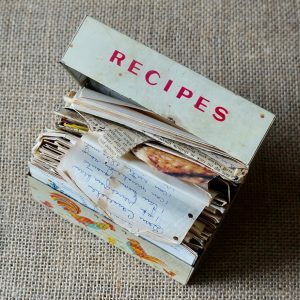 Follow these pointers for success in your own kitchen. The key is to make certain the mixture has a smooth, velvety-whipped texture. When cold pastry cream is added to even softened butter, it may have a tendency to firm back up quickly leaving lumps throughout the creme. While the mixer is running, it’s creating a good bit of friction & heat so as it blends, the Creme Mousseline will naturally become smooth.